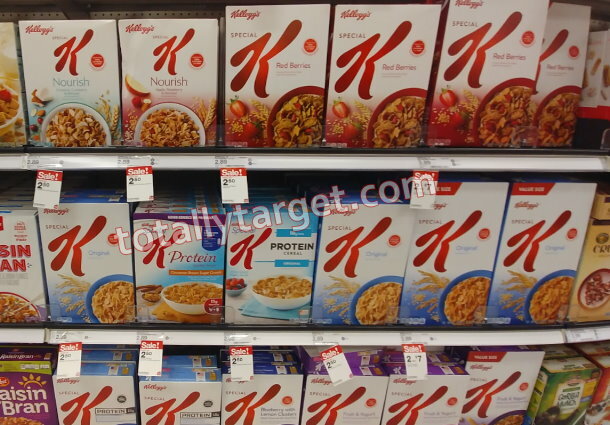 Even better, Target has Kellogg’s Special K cereal on sale both this week and next week for $2.50 each. I’m not quite sure if Target has the Protein Honey Almond Ancient Grains in yet, but even if not – you can still get a nice deal with the $1/2 since we have an ibotta rebate …. If you do find this new cereal at your stores – keep in mind you can buy any 3 Kelloggs Cereals to get the FREE Special K (up to $3). There has been LOTS of cereal clearance at Target lately too, and you can check out my post HERE for more details.